On October 24, 2012, the Centers for Disease Control and Prevention recommended that “providers of prenatal care implement a Tdap immunization (Tdap or DTaP vaccine) program for all pregnant women. Health-care personnel should administer a dose of Tdap during each pregnancy irrespective of the patient’s prior history of receiving Tdap. If not administered during pregnancy, Tdap should be administered immediately postpartum.” This recommendation is based upon the Advisory Committee on Immunization Practices (ACIP), a group of medical and public health experts that develops recommendations on how to use vaccines to control diseases in the United States, guidelines, published Fall 2011, for whooping cough(Bordetella pertussis). ACIP reviewed published and unpublished data from VAERS, Sanofi Pasteur (Adacel) and GlaxoSmithKline (Boostrix) pregnancy registries, and two small studies here and here. 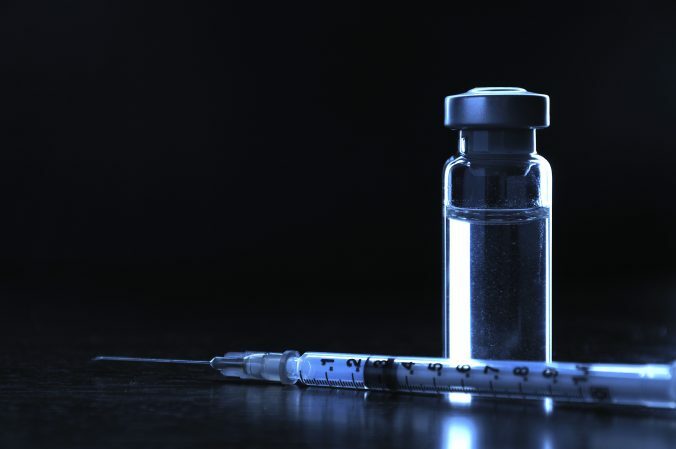 ACIP concluded “that available data from these studies did not suggest any elevated frequency or unusual patterns of adverse events in pregnant women who received Tdap and that the few serious adverse events reported were unlikely to have been caused by the vaccine.” In addition, both tetanus and diphtheria toxoids (together) and tetanus toxoid (alone) vaccines have been used worldwide in pregnant women to prevent neonatal tetanus without negative effects. The ACIP concluded that administration of the pertussis vaccine after 20 weeks of pregnancy was preferred to minimize any risk of a low percentage adverse event. According to the CDC, only about 3% of pregnant women receive the vaccination. However, the CDC believes if the new recommendations are implemented, there would be a 33 percent reduction in cases, a 38 percent reduction in hospitalizations and a 49 percent reduction in deaths from whooping cough. Centers for Disease Control and Prevention. CDC Advisory Committee for Immunization Practices Recommends Tdap Immunization for Pregnant Women. October 24, 2012. Centers for Disease Control and Prevention (CDC). Updated recommendations for use of tetanus toxoid, reduced diphtheria toxoid and acellular pertussis vaccine (Tdap) in pregnant women and persons who have or anticipate having close contact with an infant aged <12 months — Advisory Committee on Immunization Practices (ACIP), 2011. MMWR Morb Mortal Wkly Rep. 2011 Oct 21;60(41):1424-6. PubMed PMID: 22012116. Czeizel AE, Rockenbauer M. Tetanus toxoid and congenital abnormalities. Int J Gynaecol Obstet. 1999 Mar;64(3):253-8. PubMed PMID: 10366047. Gall SA, Myers J, Pichichero M. Maternal immunization with tetanus-diphtheria-pertussis vaccine: effect on maternal and neonatal serum antibody levels. Am J Obstet Gynecol. 2011 Apr;204(4):334.e1-5. Epub 2011 Jan 26. PubMed PMID: 21272845. Talbot EA, Brown KH, Kirkland KB, Baughman AL, Halperin SA, Broder KR. The safety of immunizing with tetanus-diphtheria-acellular pertussis vaccine (Tdap) less than 2 years following previous tetanus vaccination: Experience during a mass vaccination campaign of healthcare personnel during a respiratory illness outbreak. Vaccine. 2010 Nov 23;28(50):8001-7. Epub 2010 Sep 25. PubMed PMID: 20875487. Celiac disease (also known as coeliac disease in British English speaking countries) is an autoimmune disorder that afflicts the small intestine of certain individuals who are genetically predisposed to it. The disease afflicts between 1 in 1,750 and 1 in 105 people in the United States (or about 200,000 to 3,000,000 people) and usually, but not always, results in chronic diarrhea, low pediatric weight gain, and fatigue. This disease is caused by a reaction to a gluten protein found in wheat, and similar proteins found common grains such as barley and rye. Outstanding news. Tara Haelle reported in Nature News & Comment that US state legislatures are beginning to pass laws that make it more difficult for parents to obtain so-called personal exemptions to vaccinations before children attend public schools. According to Haelle, “Each US state sets its own vaccination policies, and most will not generally allow children to attend public school unless they have been vaccinated against diphtheria, tetanus and pertussis (whooping cough); hepatitis B; the Haemophilus influenzae bacterium; measles, mumps and rubella; polio; and varicella (chicken pox).” In general, most states require that students meet the Centers for Disease Control and Prevention schedule (pdf) for children between 0 and 6 years old, which is set by the Advisory Committee on Immunization Practices. The Centers for Disease Control and Prevention recently published a comprehensive analysis of influenza vaccination rates of the US population during the 2011-2012 season. Mostly, the numbers continue to be disappointing, even in groups that should have higher rates of flu shots, such as pregnant women and healthcare workers. These numbers continue to demonstrate the difficulty in increasing the vaccine uptake rate in the US. Public health officials has been pushing to increase the flu vaccination rates of healthcare workers. The numbers are somewhat disappointing, but as more states mandate flu vaccinations for healthcare workers, the rate may improve. The CDC found that about 63.4% of healthcare workers had been vaccinated for the flu as of November 2011, an 8 point improvement over 2010.